An Ancient Solar System...: What Has NASA Seen At Europa? Above: Europa, courtesy of NASA. The brown stripes are thought to be zones where upwelling ice is carrying material up from the ocean. NASA has teased the world by announcing a press conference today about a 'surprising find' made regarding Europa. So what's the big buzz about? Europa is the second moon out from Jupiter and one of a handful of worlds known to have a substantial ocean. 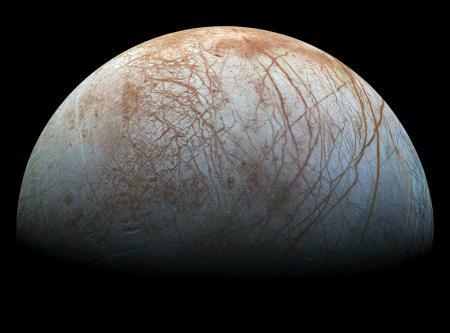 That makes it one of the best places to look for present day extraterrestrial life - but there's a catch: Europa’s ocean is ice covered, moonwide. The depth of the ice is unknown, but the optimistic models suggest its thousands of meters deep. So it's a cosmic middle finger: Here's what space explorers were always looking for, and they get stopped by the last few kilometres to the prize. But in 2013 Hubble picked up something potentially game changing: A plume of water vapour over Europa's pole. That suggests that the ocean sometimes breaks through the ice, as it does at Saturn's (much more distant) moon Enceladus. Right now a lot of space fans are hoping the news is more plumes.... But is it? What can we get from that? Dr. Jennifer Wiseman is a senior astrophysicist at the NASA Goddard Space Flight Center, where she serves as the Senior Project Scientist for the Hubble Space Telescope. Bill Sparks is part of the Astrobiology institute, and the deputy division head for the Instruments Division and is a member of the Advanced Camera for Surveys Instrument Definition Team (ACS IDT). His most recent research project involves using polarised light to detect chiral molecules. We have two astrobiologists, one with an interest in Europa, the other a camera expert with an interest in characterising molecules using spectrometry. We also have two high ups involved with Hubble. My guess (and it's definitely only a guess) is that Hubble has used a background star to back light the space around Europa and found evidence of more plumes. In fact Jupiter and Ganymede were predicted to occult a 7th-magnitude star on April 12, but Europa was not. Perhaps a plume did? As an outside possibility, I wonder if Bill Sparks' latest project on detecting chiral molecules - often regarded as a biomarker - has anything to do with this? 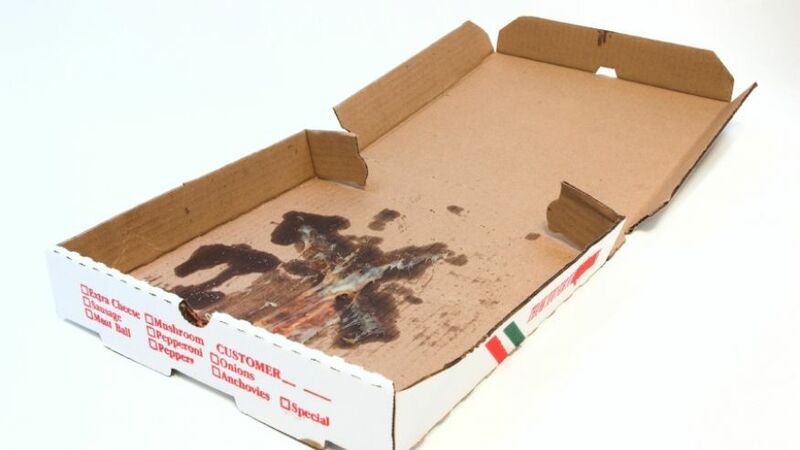 Or it could be that Hubble has spotted a discarded pizza box orbiting Europa, and everyone at NASA is having a breakdown... but one way or another we'll find out tonight!